The last week has been filled to the brim with Dodger excitement, a couple of good runs, and some even better eats. I’ve also been busy with school stuff — but that’s not nearly as fun to read about. 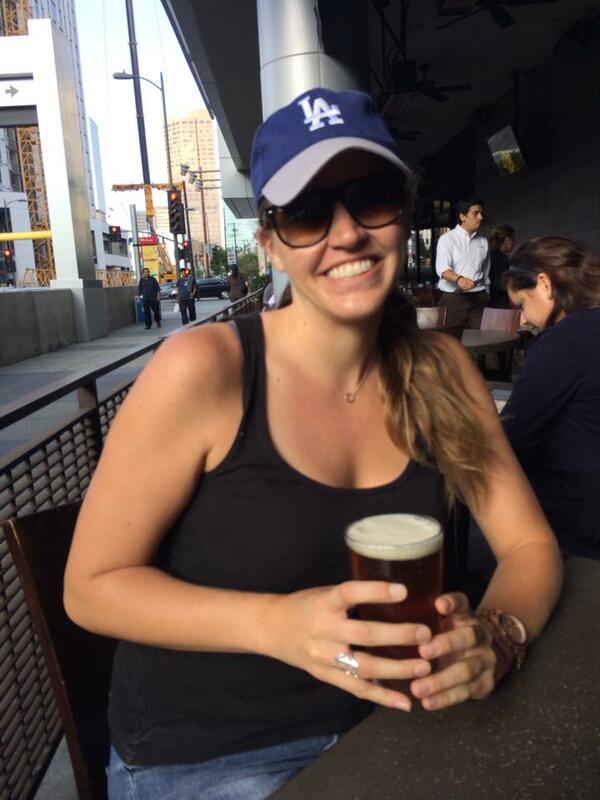 On Thursday, I watched NLDS (National League Division Series) Game #1 at Yardhouse and sipped a couple of IPAs. Dodgers beat the Braves — the series was off to an exciting and good start for the Boys in Blue in the ATL! The next game was the following day. 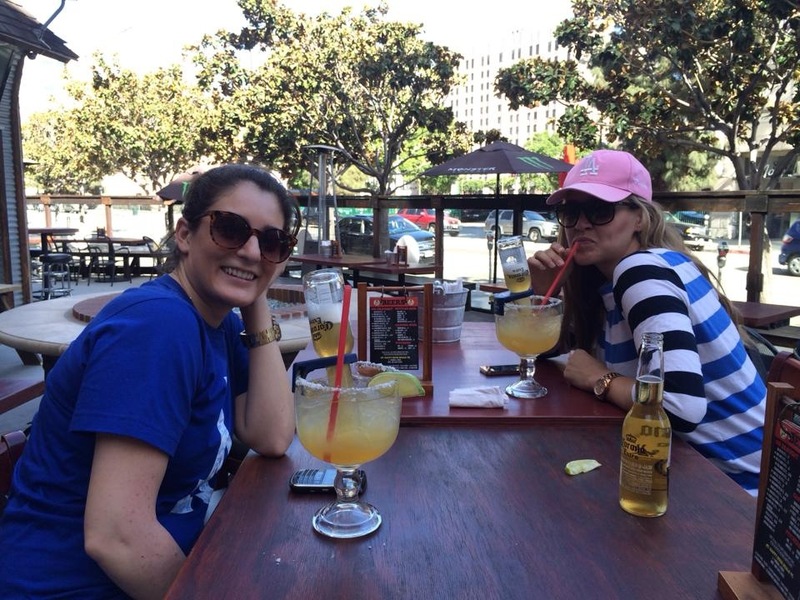 Armita, Aviva, and I started off watching the game at Big Wangs and I had my first “beergarita.” I didn’t like it, but Armita insisted this one was not very good. When PS 612 finally opened at 4 we transitioned over there where I had some gift cards to cash in. (They sent me $40 after I wrote this Yelp review). But anyway, I digress. We had some delicious apps and zerts at PS 612, kicked it with some law school friends, and sadly watched the Braves defeat the Doyers. 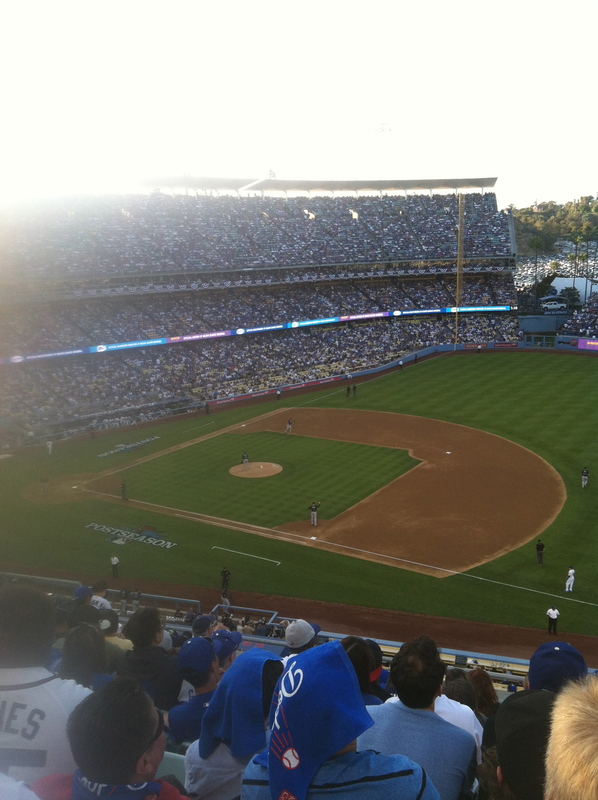 On Sunday, I went to NLDS Game #3 at home. This game was insane — the rally towels, the post-season vibe, the #MockTheChop. The Dodgers won 13-6 and the Dodgers were truly playing like the Dodgers. This Bill Plaschke column said it best: Yasiel Puig was Yasiel Puiging. 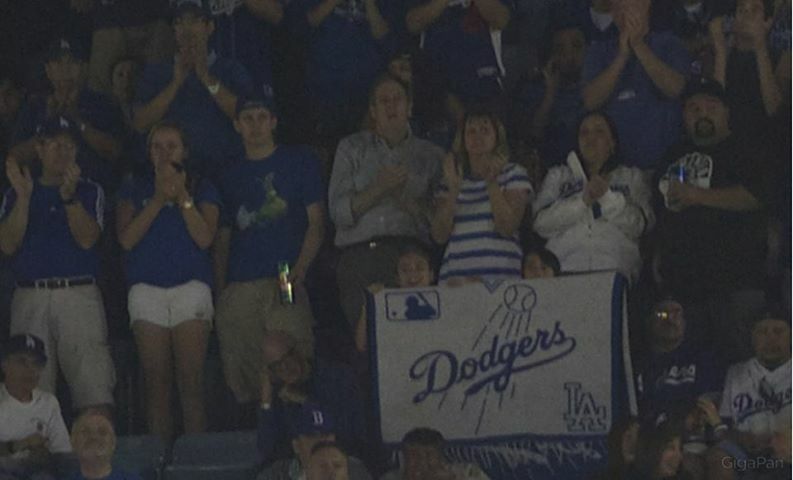 Also — a quick note about my own fandom to clear up any bandwagon speculation: I grew up a Dodger fan and grew up going to games, but I have never really made the decision to “follow” any sport at all. Early this summer, however, I started getting more into following the team. This can partially be explained by my living 3 miles from Dodger Stadium, and partially by witnessing Puig’s MLB Debut on June 3. From that point forward I have followed the ups and downs of the team this season — and will continue to do so when this season ends. Also, for the record, when I became a more serious fan the Dodgers were in last place in the NL West, and 5 games out of first. (It got wayyyy worse before it got better). 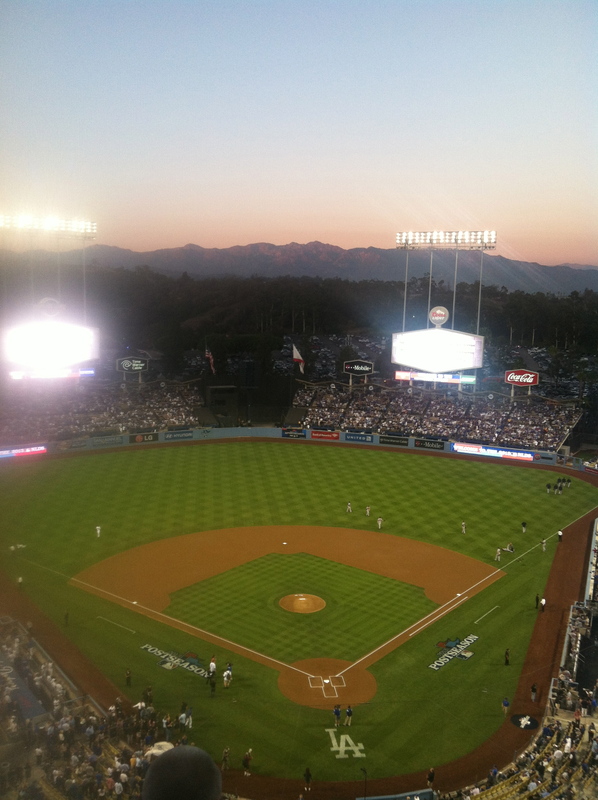 On Monday, I ditched one of my classes to see the Dodgers clinch the NLDS. The game started at 6:37, but my Dad wanted to ensure we had no LA Traffic problems. We were at the stadium before the gates opened at 3:30. 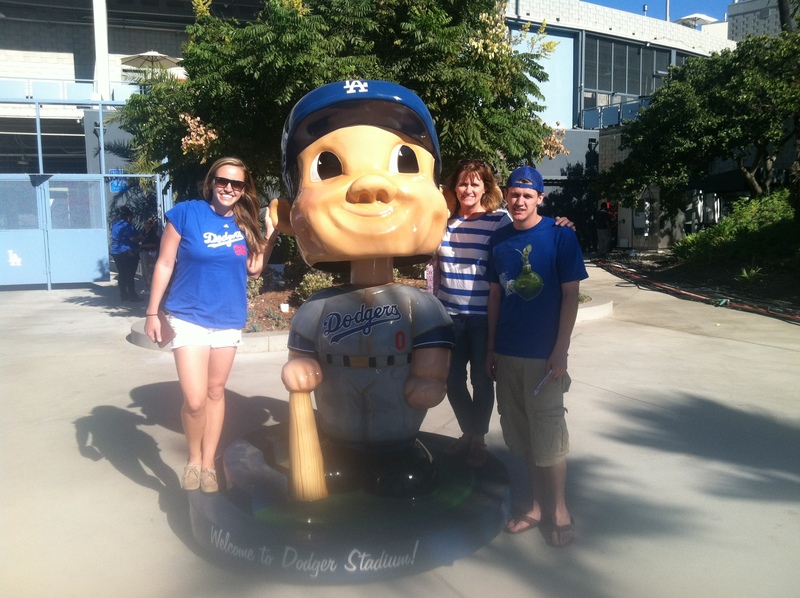 Needless to say, we had plenty of time to walk around and chow down on Dodger dogs and beer before the game got going. Our seats were in the Top Deck which I actually like — it’s less crowded than some of the lower sections. 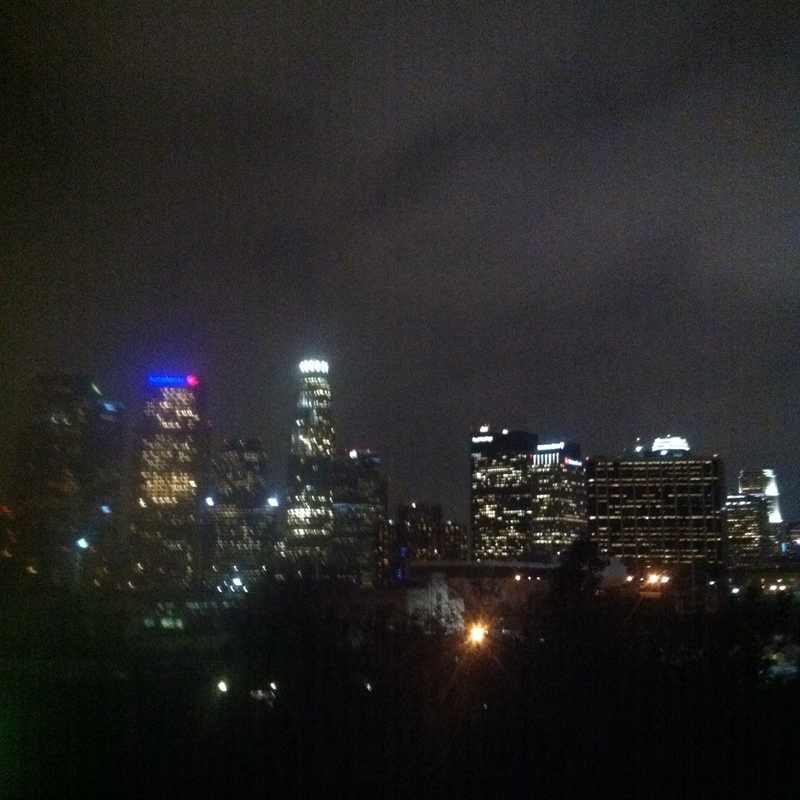 Also, the Elysian Park Grill on the Top Deck serves Point the Way IPA. They don’t do that at Anaheim. [Inside joke for my Dad. Really they don’t serve IPAs in just about any other food stand in all of Dodger stadium]. The game was incredible. Morale was low for a little while there — and it looked like we were going to lose 3-2 to the Braves, despite two home runs by Carl Crawford. 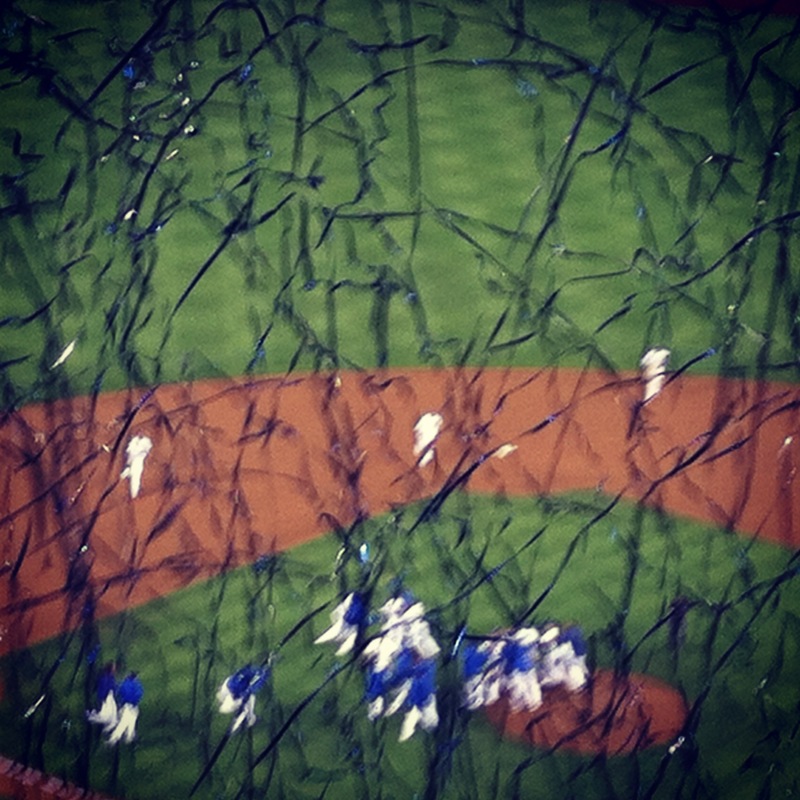 Finally, after Puig puig’d his way to a double, Uribe knocked out a homer and the Dodgers clinched it, 4-3. Making this even sweeter was the fact that the W gets attributed to relief pitcher and former orange-and-black wearing Brian Wilson (Juan Uribe is also a former Giant). Seeing them win was awesome — there was an excitement that is hard to describe, and a general buzz in LA about the Dodgers that is unlike anything I have seen in my lifetime. Looking forward to seeing how the Dodgers fare against the St. Louis Cardinals in the NLCS. GO DODGERS. I also went on a couple of great runs this week. 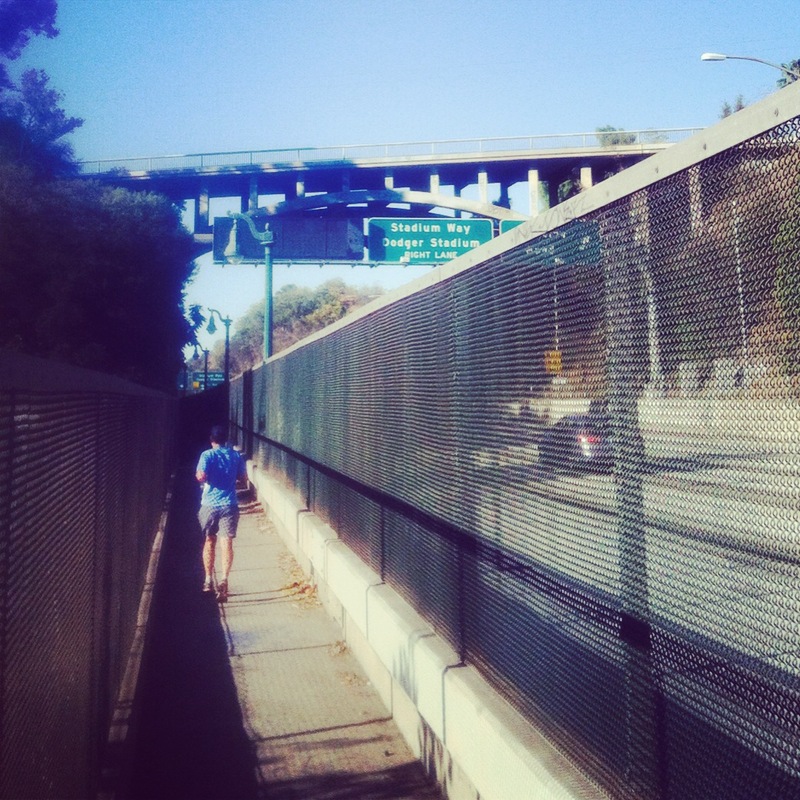 On Saturday, I met up for a bright and early 8 miler down through DTLA and Chinatown and back across the hidden pedestrian path along the 110 freeway. Tuesday’s run featured a speedy jaunt up to Vista Hermosa Park, down through Echo Park Lake, and back along Sunset and then Grand Ave. We raged afterward with some brews (IPA, duh) and some tacos. These people are fun to run with + have made me faster, no doubt. Despite all the dodger dogs, I’ve had a couple of good eats and new drinks lately as well. 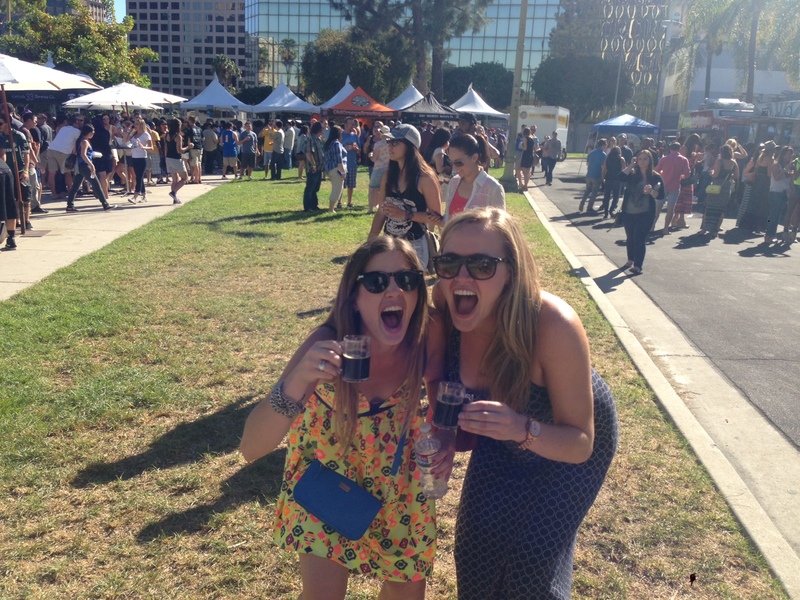 On Saturday, September 28th, I joined my BFF Whitney at Septemberfest for some beer in the Indian Summer sunshine. These are our “omg we are trying PEANUT BUTTER beer” faces. 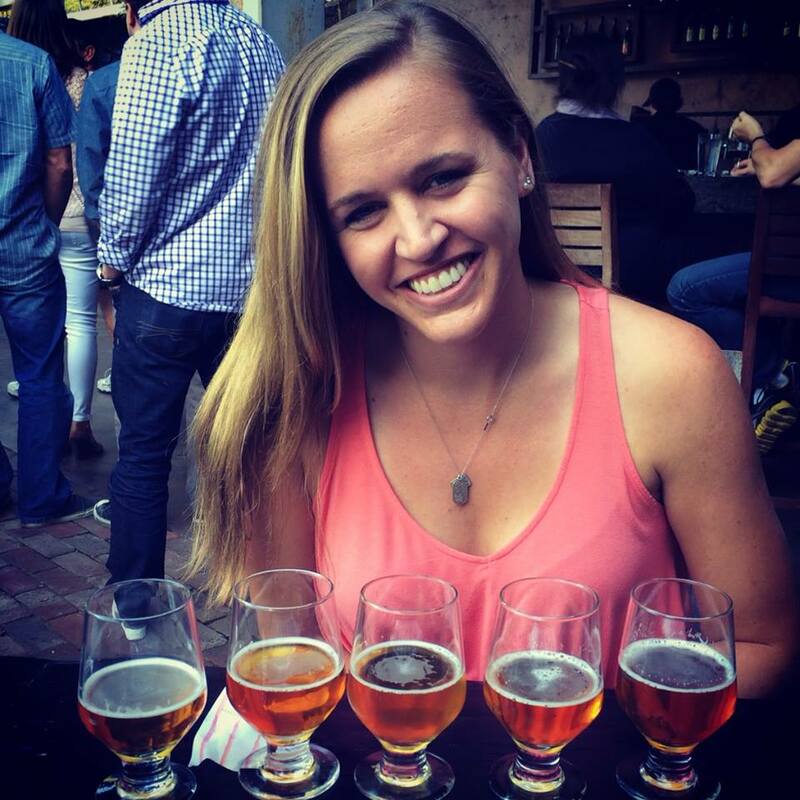 [Belching Beaver Peanut Butter Milk Stout, Vista, CA]. Last Saturday, Whitney came to Gold’s to take my spin class. Afterward, we hit up Tiara Cafe for brunch. 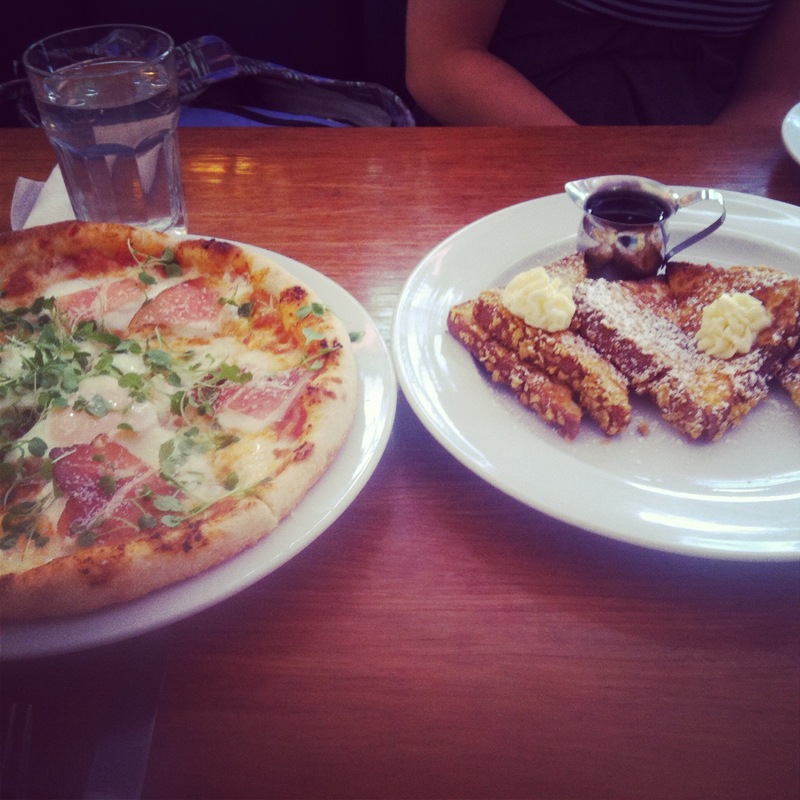 Whitney and I agreed the Breakfast Pizette nearly changed our lives. The “bearded” french toast was tasty, but it needed an extra kick. 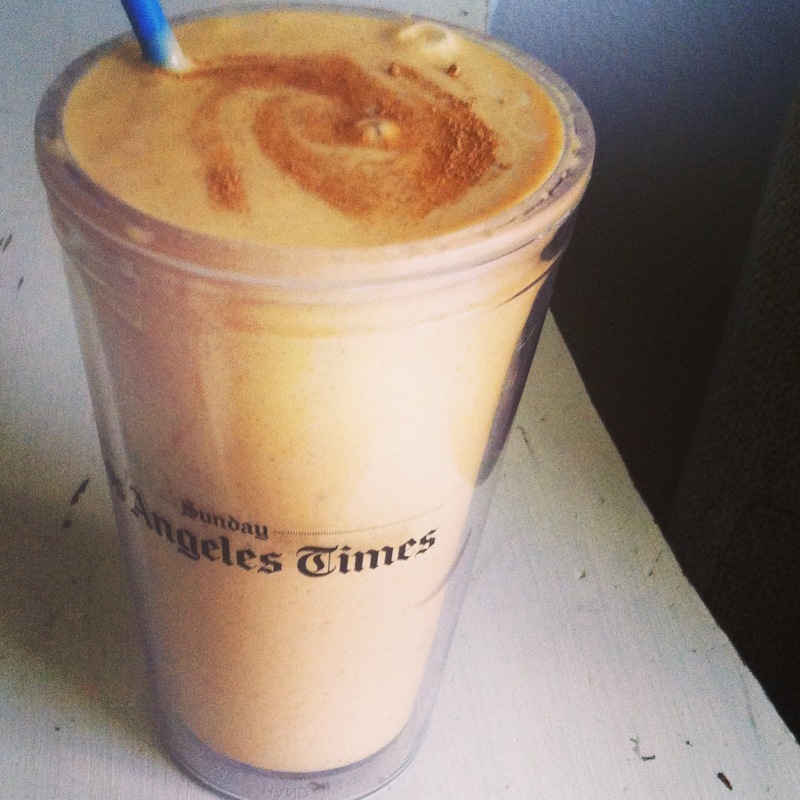 This afternoon, I got my fall fix with a Pumpkin Pie Protein Smoothie. I used this recipe from Julie over at Peanut Butter Fingers, and modified it slightly. (1) Is your baseball team still in the playoffs? Who is your team? Yes they are. Dodgers, duh! 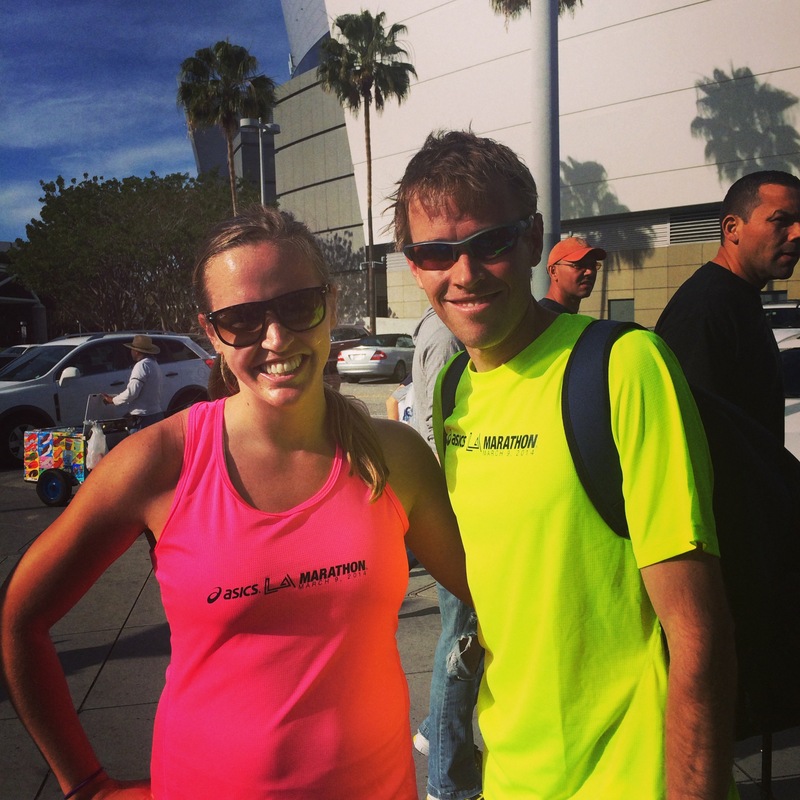 (2) Do you have any races coming up? 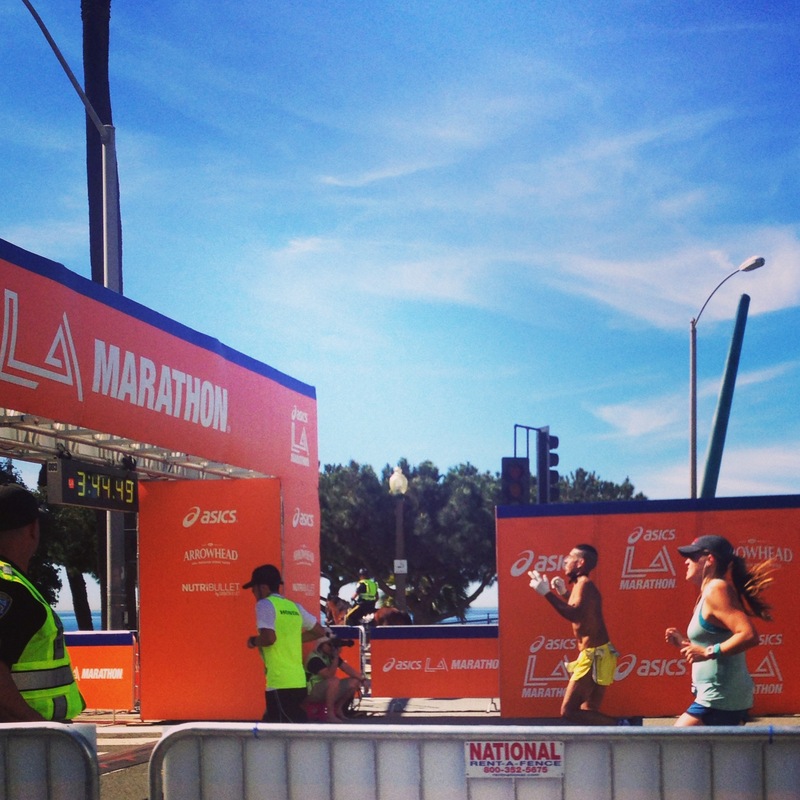 I’m running the Long Beach 13.1 on Sunday! 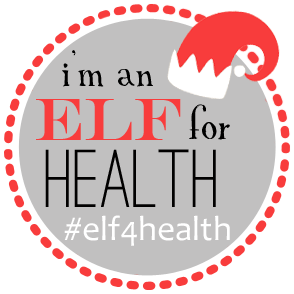 Then the Rock n Roll LA Half on 10/27, and Santa to the Sea on 12/8. I told you fall racing season hit me HARD. This smoothie will be up there, but nothing tops my mom’s pumpkin bread.